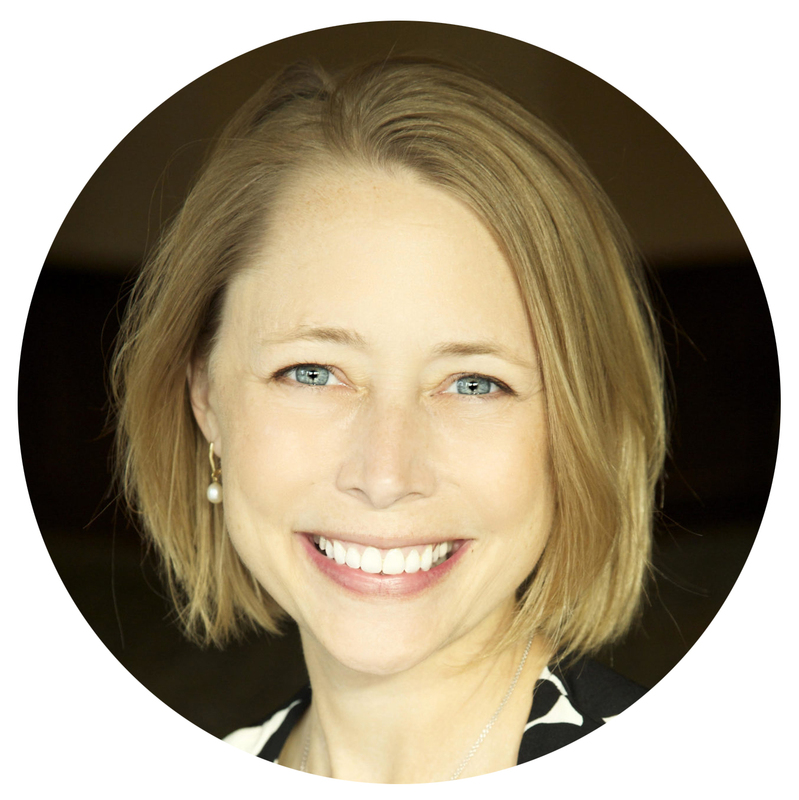 Jaime Hartman is a Nutritional Therapy Practitioner, Certified AIP Coach, and Registered Yoga Teacher. 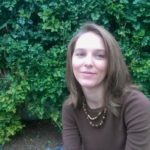 She also has a master’s degree in educational psychology and over 20 years of experience teaching, coaching, and motivating both adults and young people. Jaime has lived with severe Crohn’s disease since she was 19 but has found greater health and wellbeing through a real food diet and lifestyle and shares her experiences on her blog Gutsy By Nature, where you can learn how to work with her. You can also connect with Jaime through Facebook and Instagram. 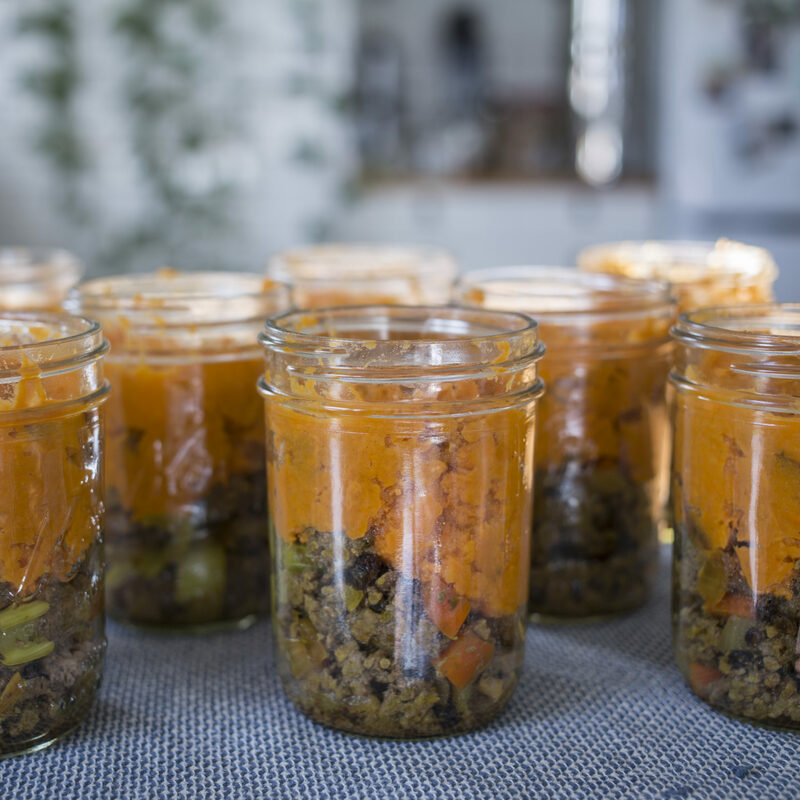 Whether you call it batch cooking, freezer cooking, or meal prepping, the end goal is the same: to have quick and easy AIP compliant meals on even the busiest days so you can stay on track with your healing. Sounds great, right? But we all know the freezer isn’t going to fill itself. 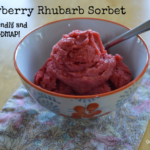 You need recipes that are designed specifically to freeze well and then once your freezer is stocked full, you need to know how to get those frozen blobs into a form that your family can eat without needing to pull out an ice chisel! The concept is fantastic, but without a plan for execution, it isn’t anything but a good idea. 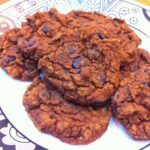 After having many of my blog readers and nutrition clients ask for tips and proven recipes they could freeze, I realized that a new resource was needed, but that I couldn’t create it alone. 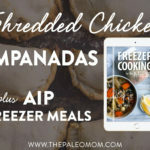 So, I turned to my favorite AIP bloggers and asked if they would open their own freezers and let me know what was inside! 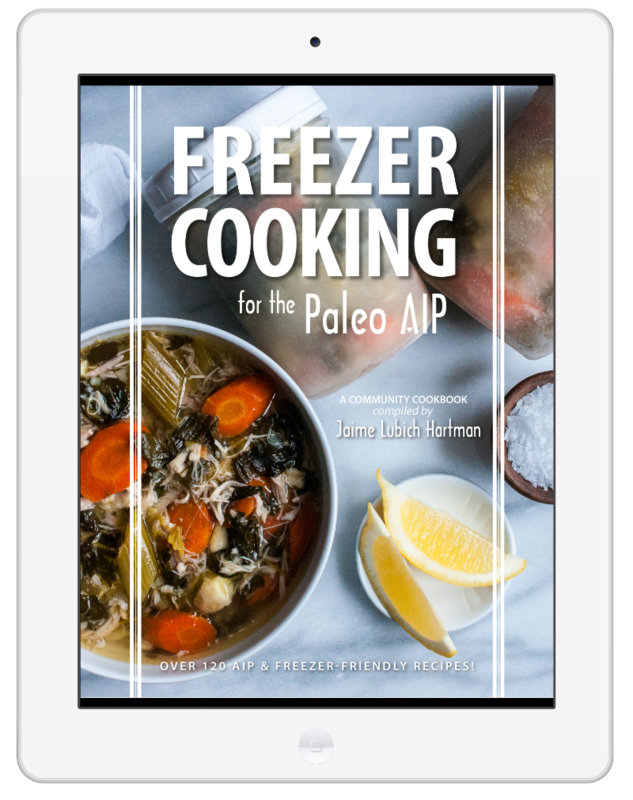 The result is an ebook of over 120 freezer-friendly recipes, all of them 100% compliant with the elimination phase of the AIP, called Freezer Cooking for the Paleo AIP. 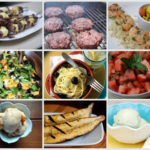 In addition to recipes, I also asked the 30 contributing bloggers to all share some best practices that they have discovered over the years. You’ll find all of their tips in the ebook, but here is my personal top 10 to get you started. 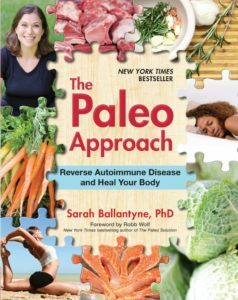 All who download Freezer Cooking for the Paleo AIP are also invited to join an exclusive Facebook group where members swap tips and favorite recipes. Be sure to check your email when you get the link for downloading so that you can join too! To whet your appetite, here are a few additional tips from that group. On your cooking day, either have something really comfortable to stand on or wear padded shoes. It makes a world of difference. 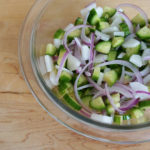 Save time and buy prepped veggies. Pre-shredded cabbage, pre-chopped or frozen broccoli/squash/etc. It’s usually just as affordable as the fresh, if not less expensive. Dishes, do them early and often, as no one wants to do dishes at the end of a long cooking day. Put what it is and when it was made. I like the Ball brand dissolvable labels, so there isn’t any sticky residue when I put something else in it. And above all, be gracious to yourself. I’ve had many a fail or a recipe that looked good but I ended up not liking due to my own palate. It’s hard to do all that work and then not enjoy it, but I’m human too and it’s ok to mess up! 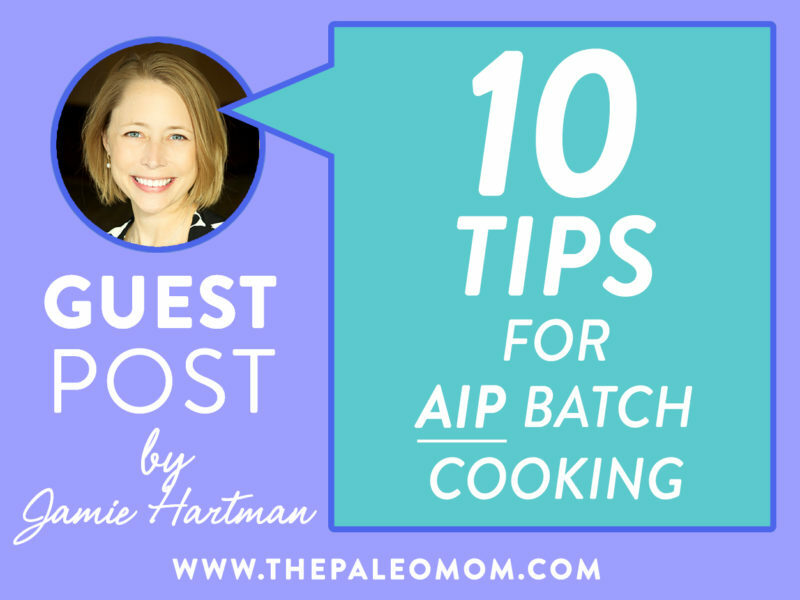 If these tips have convinced you that batch or freezer cooking will make your life on AIP easier and tastier, you definitely want this ebook! Previous Post: « Is Breakfast The Most Important Meal of the Day? New Science Has Answers!